The refs appear to miss an 8-second violation on the Grizzlies at a crucial point in the game. Avery Bradley with the nasty crossover then steps back to drain the baseline jumper. 2013-14 SEASON: Averaged 14.9 points, 3.8 rebounds, 1.4 assists and 1.05 steals in 30.9 minutes per game... Recorded his 1,000th career point against Toronto on opening night on Oct. 30... recorded a then career-high eight rebounds at Detroit on Nov. 3... Netted a then season-high 27 points at Minnesota on Nov. 16... Recorded 21 points on 9-for-11 shooting against Cleveland on Nov. 29... Recorded his first career double-double with 13 points and a career-high 10 rebounds against New York on Dec. 8... Netted a career-high six threes against Miami on Mar. 19... Tied a career-high with 28 points against Brooklyn on Mar. 21... Appeared in his 200th career game against Chicago on Mar. 31... Recorded double-figures in scoring in 43 games and 20+ point in 16... Recorded one double-double on the season... Led the Celtics in scoring in 17 games, in rebounds five times, in assists one, in steals 17 times, in blocks three times and minutes 12 times... Set career-highs in points per game (14.9), total points (891), rebounds per game (3.8), total rebounds (226), offensive rebounds (48), defensive rebounds (178), minutes (1855), field goals made (361), field goals attempted (825), three-pointers made (79), three pointers attempted (200), free throws made (90), free throws attempted (112) and free throw percentage (80.4)... Missed a total of 22 games due to injury: five games due to a sprained right ankle (1/22-1/29/14), 14 games due to a sore right ankle (2/7/14, 2/10-3/12/14), and three games due to a strained right Achilles tendon (4/2-4/5/14). PROFESSIONAL CAREER: 2012-13 SEASON: Averaged 9.2 points, 2.2 rebounds, 2.1 assists and 1.28 steals in 28.7 minutes per game... Made his 2012-13 season debut against Memphis on Jan. 2 and recorded four points and one steal in 19:31 of action... Missed the first 30 games of the season recovering from off-season double shoulder surgery... Netted a then season-high 13 points to go along with five assists against New York on Jan. 7... Scored 16 points against Charlotte including a season-high four three-pointers on Jan. 14... Recorded 13 points, tied a season-high with five rebounds and three steals in a career-high 46 minutes against Denver on Feb. 10... Scored 17 points against Denver on Feb. 19... Netted 18 points and recorded a season-high tying five rebounds at Utah on Feb. 25... Recorded a season-high 22 points and a career-high seven rebounds to go along with a season-high-tying five assists at Philadelphia on Mar. 5... Swiped a career-high five steals at New Orleans on Mar. 20... Recorded 21 games with 10 or more points, including one game with 20 or more points... Led or tied for the team lead in scoring twice, in assists once, in steals 16 times, in blocks eight times and in minutes six times... Named to the All-NBA Defensive Second Team... PLAYOFFS: Averaged 6.7 points, 2.2 rebounds, 1.3 assists and 1.83 steals in 31.9 minutes per game... 2011-12 SEASON: Had a breakout season recording career highs in virtually every statistical category... Averaged 7.6 points, 1.8 rebounds and 1.4 assists in 21.4 minutes per game... Shot 49.8% from the field and shot 40.7% from three-point land... Recorded 11 points to go along with two assists and two steals against New Jersey on Jan. 4... Also connected on his first career three-pointer during that game... Recorded his first career start against Phoenix on Jan. 20 and recorded 10 points, four rebounds and three steals... Recorded a career-high six rebounds and seven assists in a career-high 41 minutes at Washington on Jan. 22... Scored a career-high 23 points against Washington on Mar. 25... Set new career-high 28 points against Atlanta on Apr. 20... Also swiped a career-high four steals against Atlanta on Apr. 20... Averaged 12.3 points, 2.9 rebounds, 2.0 assists and 1.07 steals in his 28 starts... Also shot 50.4% from the field and 46.5% from three when he started... Had 20 games in which he netted 10 or more points and four games in which he recorded 20 or more... Led the Celtics in scoring in five games, in steals in eight games and in minutes nine times... PLAYOFFS: Averaged 6.7 points and 2.0 rebounds in 24.8 minutes per game... Suffered an injury to his left shoulder and would miss the final 10 games of the playoff run... Had surgery on May 25 to his left shoulder. 2010-11 SEASON: Averaged 1.7 points in 5.2 minutes per game... Had his best game of the season on the last night against New York (4/13) when he netted 20 points on 10-of-16 shooting from the floor... Made his professional debut against Atlanta scoring two points, grabbing one rebound, handing out one assist and recording one steal against Atlanta (11/22)... Assigned to the Maine Red Claws of the NBA Development League on January 14... Averaged 17.1 points, 4.8 rebounds, 5.2 assists and 3.0 steals in nine games for Maine... Recalled from the Red Claws on February 7... Recorded a season-high 5 points against Golden State (2/22)... PLAYOFFS: Was inactive for all nine of the team's playoff games. COLLEGE: 2009-10: Ranked second on Texas in scoring (11.6 ppg), steals (44) and minutes played (29.5 mpg)... Shot 37.5 percent from three-point range and recorded an impressive 18 blocks... A Big 12 All-Rookie team selection by the league coaches and Big 12 All-Freshman Team by the media... Named All-Big 12 Honorable Mention by the coaches... Posted season highs in points (29) and rebounds (9) vs. Colorado, shooting 12-of-14 from the field and 3-for-3 from three-point range... Recorded 25 points and five rebounds v. Nebraska... Had 24 points, six rebounds, six assists and three steals at Iowa State, converting 10-for-14 shots... Totaled 21 points and three steals at Oklahoma, shooting 9-of-16 from the field. HIGH SCHOOL: Spent his senior year at Findlay Prep in Henderson, Nevada, averaging 19.1 points, 4.6 rebounds, 2.9 assists and 2.9 steals... Led Findlay to a 33-0 record and the mythical high school national championship... Named the ESPNRISE.com High School National Player of the Year and ranked as the No. 1 prospect by ESPNU... A McDonald's All-American and Jordan All-American... Won the slam dunk contest at the McDonald's All-American Game... First-team Parade Magazine All-American... Recorded 21 points (10-of-14 FG) in 29 minutes for the USA Junior Select Team at the Nike Hoop Summit... Transferred to Findlay after spending his freshman through junior years at Bellarmine Prep (Tacoma, WA). PERSONAL: Full name is Avery Antonio Bradley, Jr... 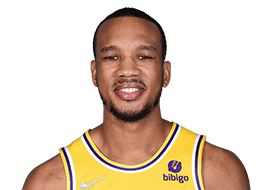 Son of Alicia Jones and Avery Bradley, Sr... Became a Texas fan when his family lived in Arlington, Texas from 2001-2004... Family moved back to Tacoma in the summer prior to his eighth grade year (2004).